Nov. 16, 2011: In a potentially significant finding in the search for life beyond Earth, scientists studying data from NASA's Galileo probe have discovered what appears to be a body of liquid water the volume of the North American Great Lakes locked inside the icy shell of Jupiter’s moon Europa. 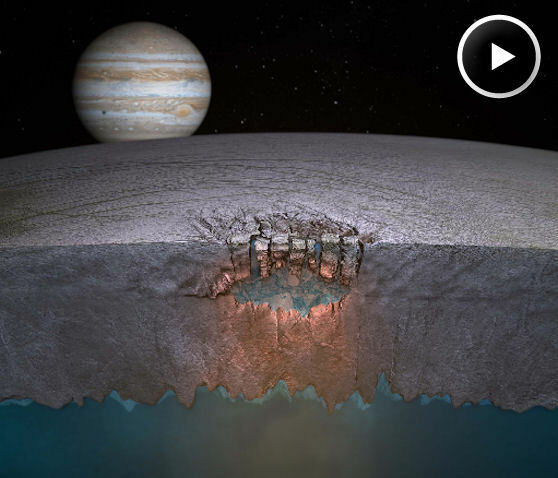 The water could represent a potential habitat for life, and many more such lakes might exist throughout the shallow regions of Europa’s shell, say researchers writing in the journal Nature. The Galileo spacecraft, launched by the space shuttle Atlantis in 1989, provided scientists decades of data to analyze before the probe plunged into Jupiter's atmosphere in 2003. One of the most significant discoveries was the inference of a global salt water ocean below the surface of Europa. This ocean is deep enough to cover the whole surface of Europa and contains more liquid water than all of Earth's oceans combined. However, being far from the sun, the ocean surface is completely frozen. Most scientists think this ice crust is tens of miles thick. "One opinion in the scientific community has been if the ice shell is thick, that's bad for biology. That might mean the surface isn't communicating with the underlying ocean," said Britney Schmidt, lead author of the Nature paper and postdoctoral fellow at the Institute for Geophysics, University of Texas at Austin. 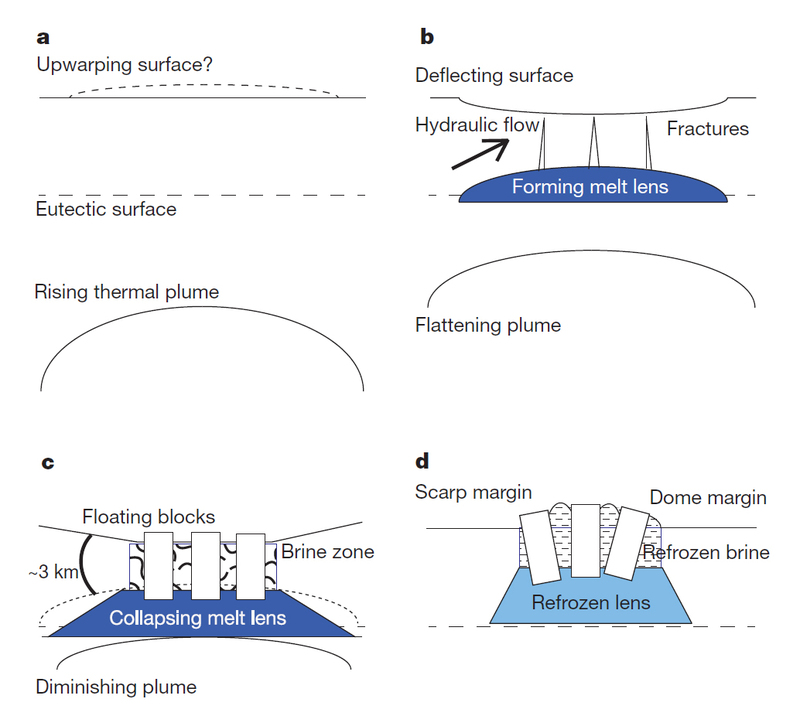 "Now, we see evidence that it's a thick ice shell that can mix vigorously and new evidence for giant shallow lakes. That could make Europa and its ocean more habitable." ). The model resolves several conflicting observations. Some seemed to suggest the ice shell is thick. Others suggest it is thin. The recent analysis suggests chaos features on Europa's surface are formed by mechanisms that involve significant exchange between the icy shell and the underlying lake. This kind of "chaos" may provide a pathway for transferring nutrients and energy between the surface and the vast global ocean already thought to exist below the thick ice shell. Researchers believe this would increase the potential for life there. 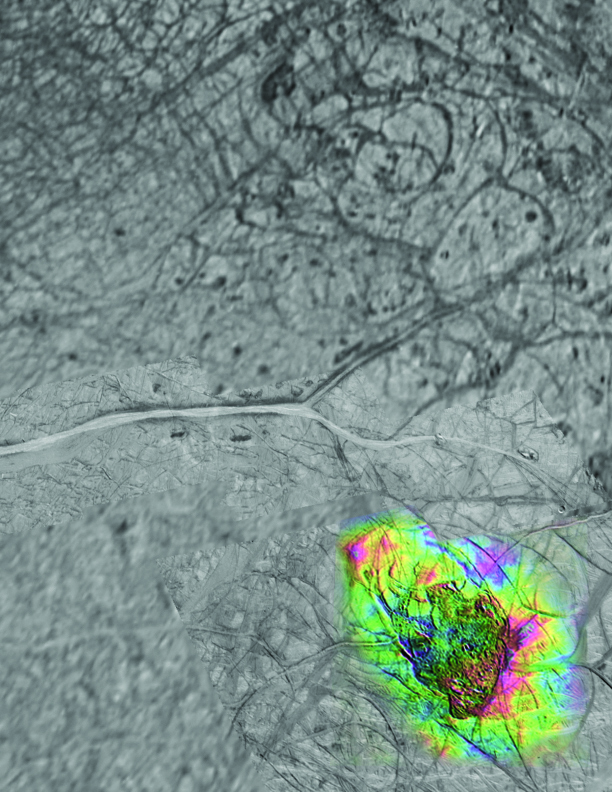 "This new understanding of processes on Europa would not have been possible without the foundation of the last 20 years of observations over Earth's ice sheets and floating ice shelves,” said Don Blankenship, a co-author and senior research scientist at the Institute for Geophysics, where he leads airborne radar studies of Earth’s ice sheets. The authors have good reason to believe their model is correct. Still, because the inferred lakes are several miles below the surface, the only true confirmation of their presence would come from a future spacecraft mission designed to probe the ice shell. Such a mission was rated as the second highest priority flagship mission by the National Research Council's recent Planetary Science Decadal Survey and is being studied by NASA. For more images and a video animation of the findings, visit the University of Texas at Austin. .
Galileo was the first spacecraft to directly measure Jupiter's atmosphere with a probe and conduct long-term observations of the Jovian system. The probe was the first to fly by an asteroid and discover the moon of an asteroid. 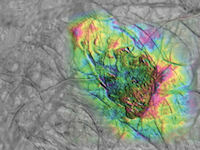 NASA extended the mission three times to take advantage of Galileo's unique science capabilities, and it was put on a collision course into Jupiter's atmosphere in September 2003 to eliminate any chance of impacting Europa. The Galileo mission was managed by NASA's Jet Propulsion Laboratory in Pasadena, Calif., for the agency's Science Mission Directorate.